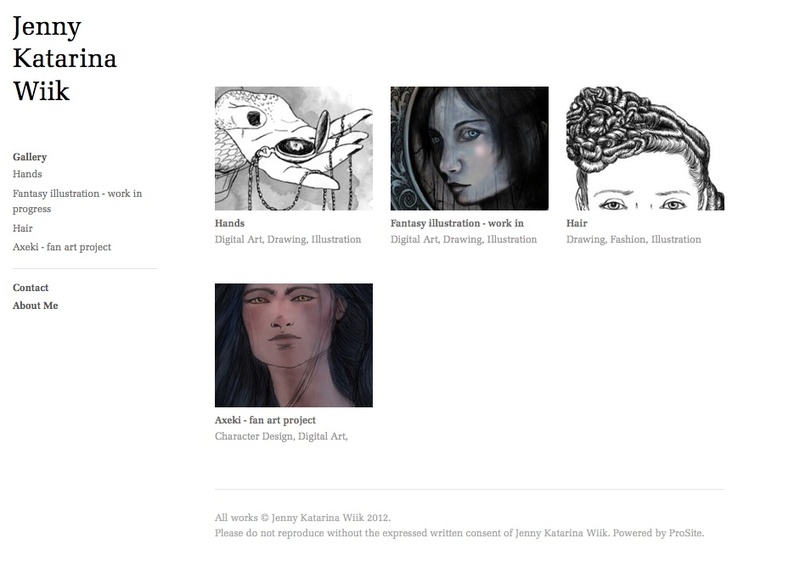 I recently upgraded my Behance profile to Prosite (since this is free for Adobe Creative Cloud members). So this is what my site looks like there. It’s still quite simple, and I haven’t published that many projects on Behance yet. But hopefully I can start filling it up with more projects soon. I’ll soon work on an illustration for a science fiction short story, and I’ll upload it to Behance when it’s finished in June. But since thesis writing is my main focus this year, new illustrations are born very sporadically. I’d really like to post more drawings and works in progress on Behance, but that will have to wait till 2014, when I’m a freelancer again. The reason I’m starting this blog is that MobileMe is turning into iCloud, so my old web page is going to disappear (because I’m not going to jump into the iCloud). As I’m very happy with WordPress blogs, I’m staying here. I mostly blog in Swedish at Kolofont, so I will not be updating this blog very often. But why not take the chance to create something new here? In the different pages (About, Art, Research) you can find some basic information on what I do. But I’ll also be posting illustrations, photos, thoughts about research and writing in the blog posts; But completely randomly and only as a part of this being a personal web page. There are a lot of exciting things going on in my life right now. Next year I’ll finish two huge projects I’ve been working on for years (Book 1 and Thesis). And at the same time I want to have time for my family and taking care of myself. I want to have time for reading, dancing, seeing good films, playing games and traveling. I’m a mom, a geek, a thinker, a maker. Welcome to my little space in the web.